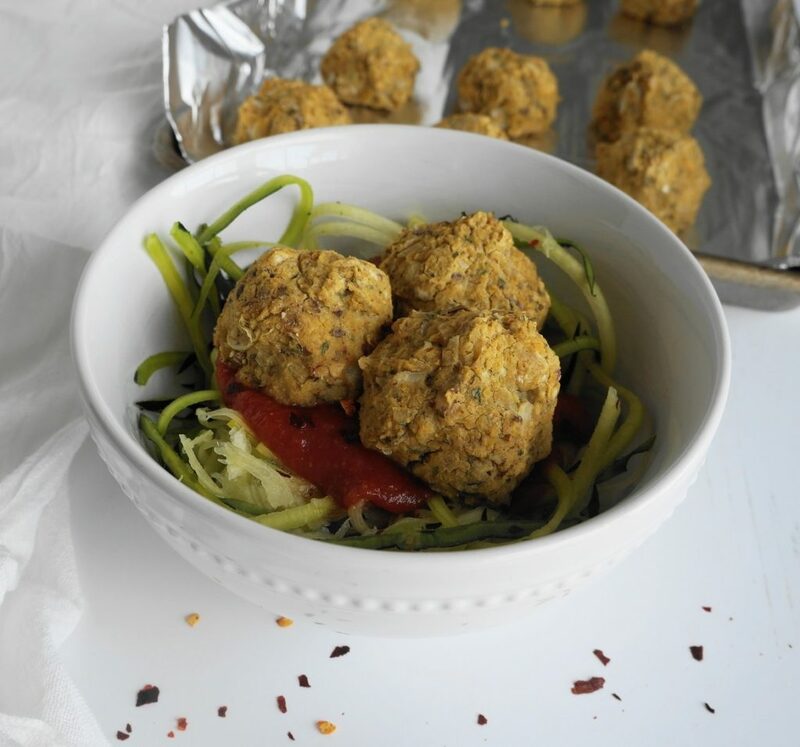 These vegan chickpea “meatballs” are insanely versatile and quickly became a staple in my house. I prep them on Sunday and I use them in a variety of ways throughout the week. I love them with pasta, zucchini noodles, or spaghetti squash with marinara or tomato sauce. You can throw a few of them in a roll with some sauteed peppers and onions for a really yummy “meatball” sandwich. I also like them with some vegan mushroom gravy poured over the top. Sometimes I will add a couple of them to a Buddha bowl instead of tempeh, tofu, or beans. The possibilities really are endless. The nutrition stats for this recipe are pretty great, too! 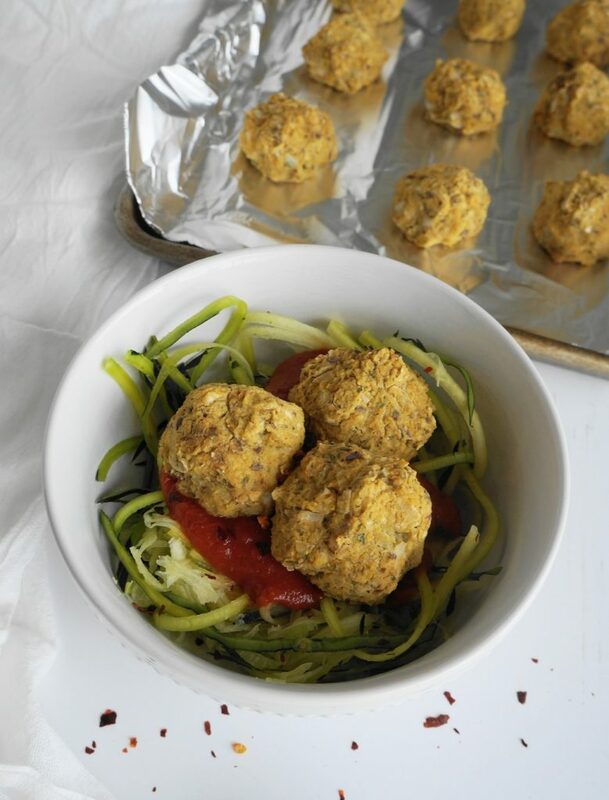 Three “meatballs” contain 8 grams of plant-based protein for 154 calories and 3 grams of fat. 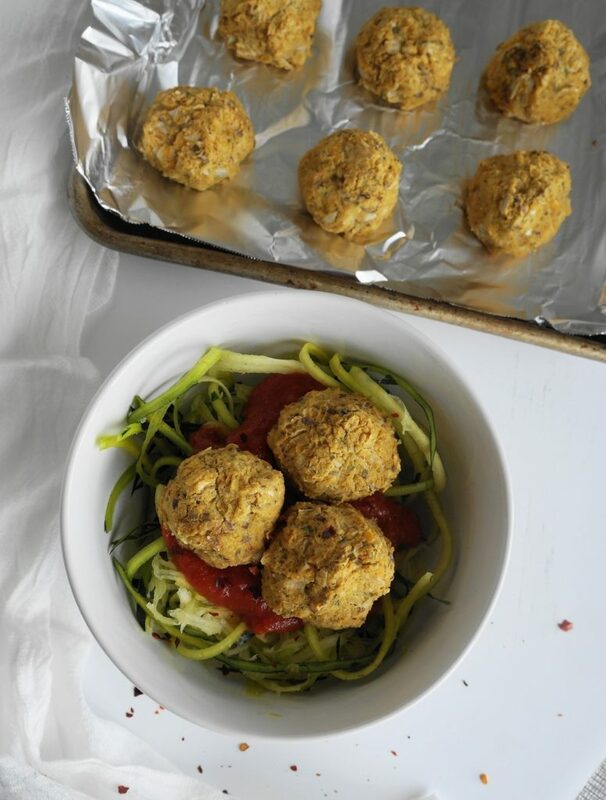 I do have another chickpea “meatball” recipe on my blog, but this one is different because it is vegan. There is no cheese and no eggs in this recipe. I use my food processor to make these vegan chickpea “meatballs”, but you can absolutely make them by hand if you don’t have a food processor. The food processor helps to cut down on prep time because you don’t need to mash the beans or chop the onion super small- the food processor does all of that for you. 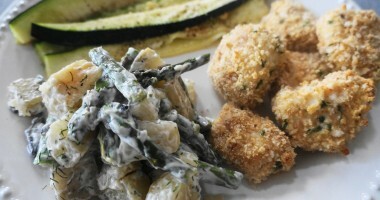 If you make this recipe- leave a comment to let me know! Preheat oven to 375 degrees F. Line a baking sheet with foil and set aside. In a small bowl, combine the ground flax and water and set aside to thicken. Dump the chickpeas into the food processor. Roughly chop the white onion and garlic into large pieces and add them to the chickpeas (alternatively, mash the chickpeas with a fork or potato masher and finely chop the onion and garlic). Add the salt, Worcestershire, parsley, basil, thyme, nutritional yeast, and breadcrumbs. 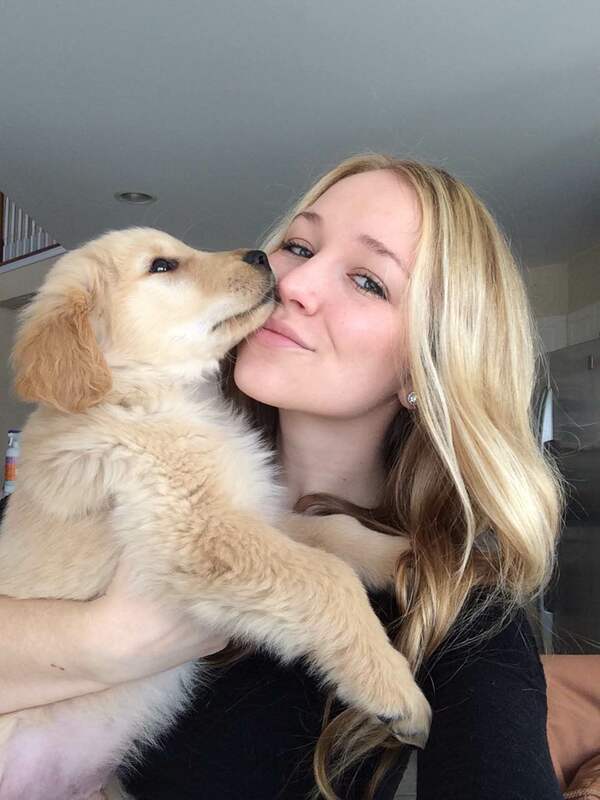 Pour in the flax egg. Pulse the ingredients in the food processor a few times until combined, but still chunky. Be careful not to over-process here-you don’t want the mixture too mushy. 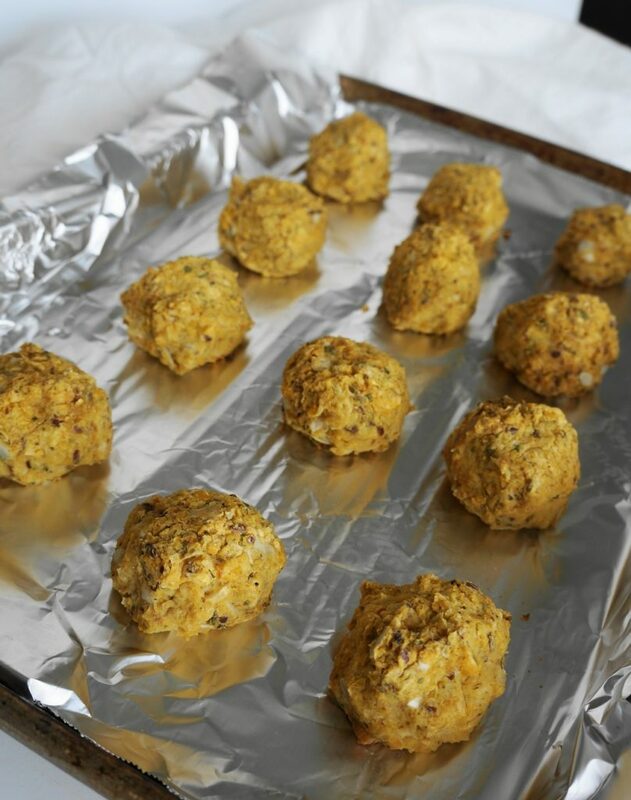 Bake the vegan chickpea “meatballs” in the preheated oven for 25-30 minutes, or until the meatballs are slightly brown and firm. Serve immediately or store in an air-tight container in the refrigerator for up to four days.